I have been as heavy as 240 and as light as 164 in order to be show-ready, so I have definitely watched my body do some amazing things. All of it has been drug-free and simply through hard work, effort and discipline in following these 10 principles over the last 15 years. They all work and they can help make you successful, too! I’ve tried to coin the phrase #UpearlytoTrain because it really has been crucial for my progress and the benefits have been amazing. I’m after the day by 4 a.m., six to seven days per week, allowing me to truly get a jump-start on the world. This is one of the biggest things I learned when reading and learning from a number of great mentors. I am a self-educated business guy via my home library and experience with a number of standout mentors, and they continually harped on the importance and benefits of being an early riser. I applied it to my life years and I fell in love with it. I am able to get so much done by 8 a.m.; it is unreal. My alarm sounds off at 3:30 a.m. almost every day and while some people may think that’s nuts, I’m truthfully excited about the new day and feel blessed to be able to attack it. With a super-busy schedule the fact that I can get all my training, food prep, cardio and even some personal development in before most people get out of bed has kept me sharp. Now 3:30 a.m. may sound a little out of the question for you. But here’s a simple challenge: No matter how hard it is, dedicate yourself to getting up early for 21 straight days, which is how long it takes to create a habit, and you’ll realize how much more effective you are. This is No. 1 on my list for a reason— it can be an amazing key for progress, not only in training but also in every area of your life. I learned this from Dr. Eric Serrano, who is simply one of the smartest guys I know and has been a mentor to me since I was 20 years old when it comes to dieting. Dr. Serrano, who is also the chief formulator for MusclePharm, has always been big on this principle and I can certainly vouch for its benefits. During one particular dieting phase, I noticed I kept getting softer and seemed to be doing way too much cardio. So Dr. Serrano told me to eat red meat and three sweet potatoes after a leg workout. It didn’t seem to make any sense to me, but he said my natural testosterone needed a spark and I had to feed it the correct amount of carbs and fat, followed by two days of rest. Well, like usual, Dr. Serrano was right and it forever altered my training and dieting approach. Your body reacts differently to cheat meals, carbs and higher calories on leg days, making it the perfect day to up your carbs. It is your biggest muscle group and enables the most natural hormone production when trained at a high level, which I’m assuming you’re going to be doing. It all made perfect sense and the results were incredible. So when you’re craving carbs or even a cheat meal, make sure to throw it in on a leg day and let the progress continue. By now, you might know about my severe dislike for traditional cardio. It’s always been hard for me to implement the right amount of cardio with my crazy weight training methods to make myself better and not worse. If you find yourself struggling to find that same balance, I may have found the magic answer for you. I’m already between 170-180 pounds at 5-foot-11, so looking thinner is not what I’m after. But this key— walking lunges for distance— is an incredible way to get your legs stronger and bring out some crazy condition at the same time. Now you have to tap into your inner maniac to keep going, because lunging around a track (or for distance) can be downright brutal, but the payoff is worth it. This is a surefire way to look like a freak while keeping your metabolism skyrocketing at the same time. One other benefit: if you can withstand the punishment, it will definitely separate yourself from the average human being. Try starting with one trip around the track (or 400 yards) of continuous lunges and work your way up from there. I do what my wife refers to as “Abbing” every night before bed, but I’ve found it to be a crucial thing to keep these bad boys looking like they were cut from granite. Diet is certainly important, but to get thick, defined abs, you have to do heavy ab work and do it often (and in this case, every night qualifies as often). I complete a quick, small circuit five to seven nights per week that gets me to 300 to 500 reps. It is simply a combo of weighted crunches (with my bedside 25-lb plate), non-weighted crunches and the ab wheel repeated for a number of sets. I keep that stuff in my bedroom so I can hit it real quick before bed, and I’ll switch up the reps and sets depending on how I feel. Regardless, it’s a surefire way to get them sharp and deep and it’s a big key to staying diced year round. I got onto a schedule may years ago of not eating any junk, bad or “cheat” foods or drinking beer for what I termed “no reason.” For instance, I won’t eat or drink on a random Tuesday just for the sake of it. If I’m at a cookout or at a ballgame on the weekend, then, yeah, maybe I’ll have a little fun. Make sure there is something special to cause you to stray from your hard work. I know I may be a bit on the crazy side, but just remember this the next time you’re reaching for those BBQ chips on a Wednesday night just because you’re bored. If you’re interested in being lean and diced year round, just keep those chips locked away until you’re watching football on Sundays so you’re not cheating twice. It’s a reward when you’re having fun and you’ll feel much better about keeping those temptations at bay during the week. They key here is simply limiting the mess-up percentage against the clean percentage while still having a good quality of life. I’m certainly not perfect when it comes to balance, as I tend to be on one side or the other, but over the years I’ve become much better about being more strategic about eating and drinking beer. Listen, I like that stuff just as much as the next guy, but when it comes to staying lean, it’s all about being knowing when to consume. Keep it to the weekends and you’ll notice the difference quickly. Water helps a ton with your appetite, and when your stomach is full of food and fluid, it helps keep your calorie intake down and cuts down significantly on your cravings. What I’ve found to work well is trying to drink around a liter of water right after each meal. Just wait until you see the difference and, believe me, it can be significant. For one, it’s going to really help you stay hydrated, it will help the fat-burning process and will also aid in keeping you out of the cupboard after dinner. If you want to give your muscles that full look and continue to improve, there’s no doubt you have to lift some heavy iron. But to keep that body fat low, you can’t be “cell phone bench guy.” Yeah, you know who I am talking about— the guy who does a set, then checks out his phone for the next five minutes before getting back under the bar. It’s one of my biggest pet peeves and it shows up all the time in “Globo Gyms” across the country. A second suggestion: If you want to look more like a 1970s Golden Era bodybuilder or a physique competitor from today, get involved with some heavy volume workouts. I post them each day on my Twitter (@Musclepharmpres), including a weightlifting one and a circuit workout. The goal is to always keep them different and always make them challenging. One thing they are NOT is “cell phone bench guy” compatible. There’s only time to sweat, train and get after it during these workouts, but they will make you stand out from the rest in your gym. There’s no light lifting, either. We want to keep it as heavy as possible while you’re blowing through these superset and tri-sets, but the biggest thing is going outside the box and extending your comfort zone. Planning and mapping out your meals is so incredibly crucial to staying diced. You have to plan your snacks out and know where your major meals are coming from each day. Don’t set yourself up for failure, but rather prepare for success. When I leave the house I always have a shaker that has two scoops of protein, almonds and a MusclePharm MuscleGel. I also usually keep at least one bag of tuna in my bag, too. I can’t go out somewhere for five hours or whatever without any food because then I’ll be starving— and that’s usually a direct route to hitting up a fast-food joint. So much for progress! When I meet with people, I always talk about writing your goals down, putting them in front of you and keeping them in front of your face to keep yourself accountable. Set your goals around company events, family reunions, vacations, etc., because if you reach those goals, then the reward is that very trip or vacation. Everybody needs a goal that’s hard but still attainable for him or her to strive to be great— otherwise you’re just going to be wandering aimlessly. 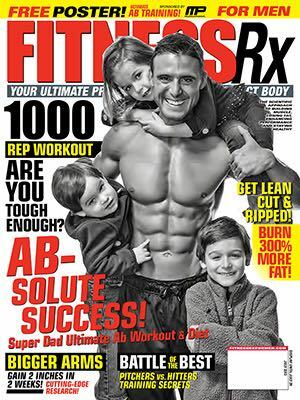 If you need something to attempt, check out my 1,000-Rep Workout that was featured in this magazine [July 2013] or check out the fifth workout in my “5 Workouts to Get You Peeled in 2014” article [January 2014]. Those will give you a whole new perspective on bodyweight training. Test and master your bodyweight, though, because it’s an awesome feeling and completely taxes your body. The benefits are huge, too, and it’s another surefire way to keep you lean and get those muscle bellies round. Cory Gregory co-founded MusclePharm with Brad Pyatt in 2008 and serves as Executive Vice President. A former underground coal miner, Gregory worked diligently to save money to realize his dream of opening his own gym by the age of 20. In the last 15 years, he has gained extensive experience and has received a number of accolades within several aspects of the fitness industry. Obtaining an Exercise Specialist certificate from Columbus State, Gregory is also NESTA nutrition coach certified and Westside Barbell certified. 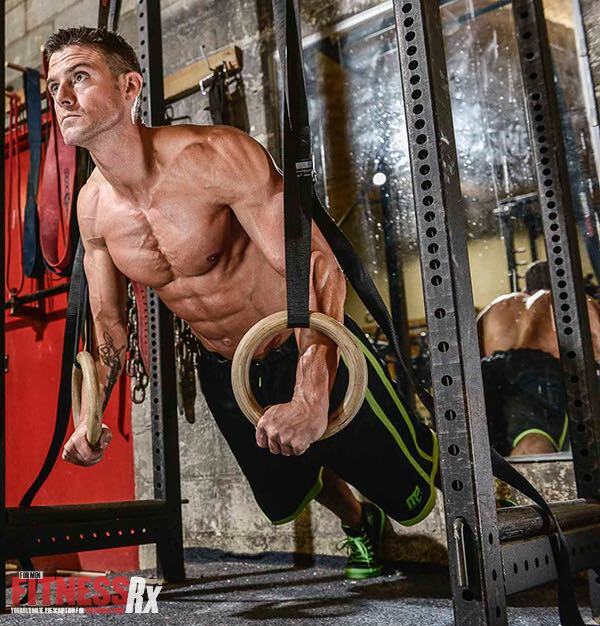 In addition to his in-depth knowledge of bodybuilding and nutrition, he is a CrossFit Level-1 trainer further helping MusclePharm’s athletes and ambassadors achieve their fitness goals. 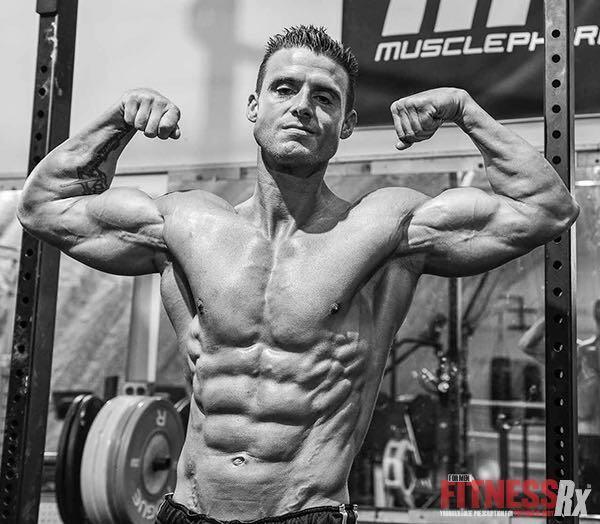 Gregory prides himself on embodying the Musclepharm culture, as he has been featured on the cover of top fitness magazines, including FitnessRx. Weighing just 208 pounds, he has achieved a powerlifting total of 1,755 pounds, culminating in a career-best 700-pound squat. Most recently, Gregory was added to the Arnold Schwarzenegger Fitness Advisory Board.